The world of social media is witnessing a lot of changes in the year 2011 including location-based marketing, review websites, text campaigns, plugins etc. If you are planning your new social media strategy, it is important to make sure that you leverage all of these upcoming trends. Here, we are going to discuss one very vital social media trend for 2011 – WordPress-based websites. Yes, a WordPress-based website is one of the hottest social media trends this year. But the point is why a WordPress-based website is a social media trend businesses are leveraging more and more. Before you actually plan to move your website or blog to a WordPress (an open source publishing application) platform, let us have a look at some of the biggest benefits that having a WordPress-implemented website can bring you. One of the biggest benefits of using a WordPress-based website is that it offers you an extensive list of interactive features which are in tune with most user requirements. A website with WordPress implementation is fast becoming the latest social media trend, as it offers you thousands of plugins and themes that enhance the overall functionality of a website. 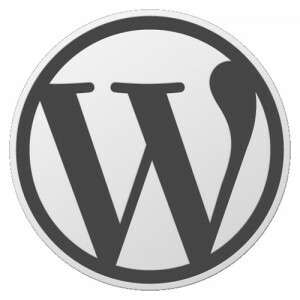 Installing WordPress on your website or blog is quite easy. Even if you are a non-techie, you’ll be able to install this publishing application in a few clicks. If you don’t want to do it yourself, your host will do it for you free of cost (most probably). Whether it is about the launch of a new product, service or brand, businesses are trying to get it all online as quickly as possible. One big reason behind a WordPress-based website being a hot social media trend for 2011 is that it saves you plenty of time. You can implement the WordPress platform very quickly. Even if you are an average user, one hour should be enough to understand the everyday process and the management of this platform. If you are planning to launch a business website or blog, implementing WordPress can save you thousands of dollars that you might otherwise spend while working with an expensive web design company. That a WordPress-based website is quite easy to update also makes it a perfect option to go for if you want to start a new website or blog. You don’t even need to have a strong knowledge of HTML coding to get the content on your website updated. That means you’ll no more be dependent on web designers when you quickly want to update the site content. Having a WordPress-based website is really a good idea to maximize SEO benefits. There are excellent plugins that you can use to incorporate the search engine optimization strategy into your website or blog. The best part is that these plugins are available to you at little or no cost. Since a website with WordPress implementation saves you plenty of time on coding, you can use this time to concentrate more on the design and content of your website. A great benefit indeed! Google is in Love with a WordPress-based Website! Now this is an industry secret! Google loves WordPress-based websites. In fact, WordPress is Googlebot’s favorite food. So, all you need to do to achieve higher rankings in Google is update your website or blog with regular fresh content.